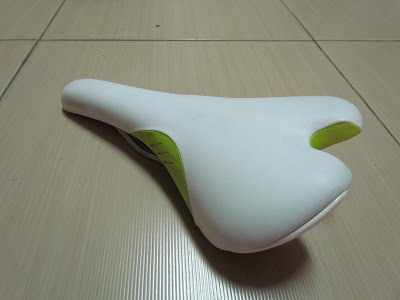 The Fizik Vitesse HP is a women's specific saddle with high-end features. At the heart of Fizik's saddles is Wing Flex Technology. What is Wing Flex? 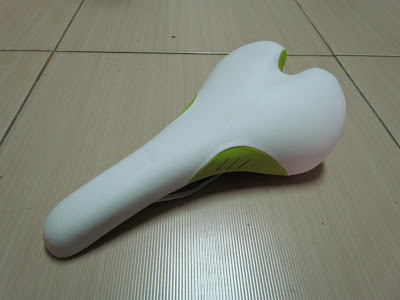 Turn the saddle over and you'll notice several slits cut in the forward edge of the saddles wings. These bend and flex just enough to get out of the way of your thighs as you pedal, but allow the shell to remain firm enough for support and power transfer no matter where you're sitting on the saddle. The shell is carbon reinforced and there are suede thigh glides to add extra wear resistance. K:ium rails are lighter, stonger, and more vibration resistant than Ti. A seamless Microtex cover for smooth transitions to the front of the saddle tops it off. - High Performance carbon reinforced shell.